Don Burris, a design engineer with optics experience, founded the Burris Company after he decided he could produce a better riflescope than what was currently available. Since then, Burris has established itself as an American optics icon. Burris is an ISO 9001:2000 registered company, and its products meet the highest standards in the industry. The company also has a long history of innovation. It was the first optic company to: • Introduce the first Ballistic Plex rangefinding and trajectory compensating reticle. • Introduce a variable power handgun scope. 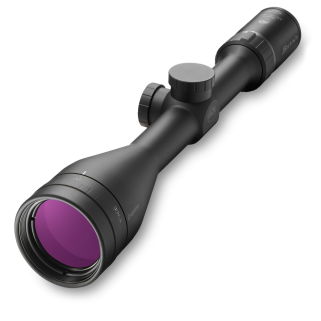 • Introduce American-made scopes with multi-coated lenses to optimize light transmission. • Develop the Posi-Lock feature that eliminates any possibility of binding adjustments or thread backlash to absolutely assure repeatable accuracy. • Introduce Pos-Align® Offset Inserts, which give shooters the ability to virtually sight in a firearm using just the rings. 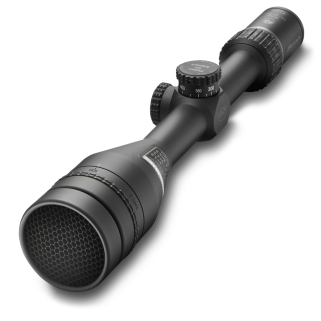 • Launch the world’s first titanium riflescope — Black Diamond Titanium. That innovative spirit continues today with the launch of the Eliminator LaserScope. 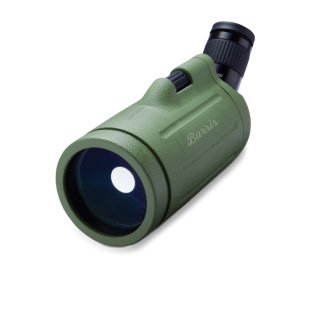 The Eliminator combines premium optics with rangefinding capability and trajectory compensation. In a split second, the Eliminator determines the distance to your target, the angle of your shot, calculates your trajectory and illuminates the perfect holdover. It’s that simple. In 2002, Burris became part of the Beretta family of companies. Today, the company’s product line includes hunting and tactical riflescope scopes, red-dot reflex sights, binoculars and spotting scopes and a complete line of rings and bases for any application or use.